Mmmm....now here's a good book! Convicting (in an "ouch, ouch, ouch!" sort of way), thought-provoking and motivational. 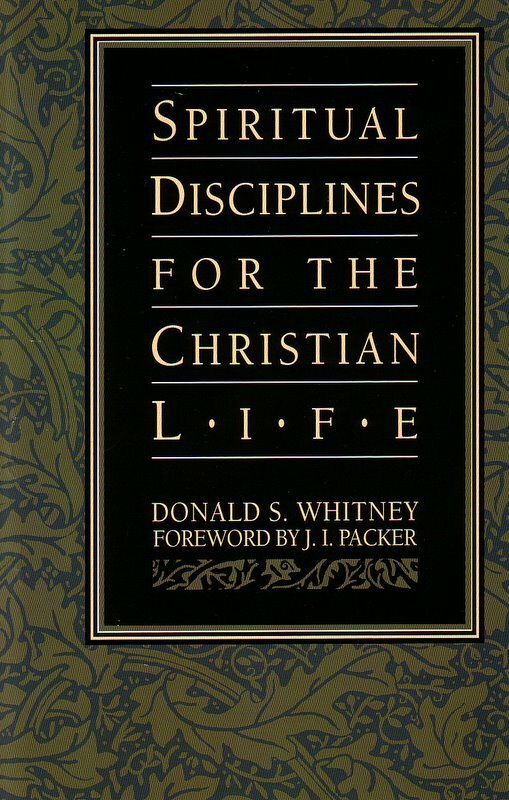 If you've ever read a book by Jerry Bridges and liked it, then I'm pretty sure you will like Donald S. Whitney's approach to sharing doctrine and motivating his reader to apply it to life. He has the same kind of easy going manner, and yet despite his calm demeanor, he never waivers in his devotion to truth. I found his style warm and approachable which makes it easier to take in his message. And what is his message? That to know God and follow after Him, we must discipline ourselves to learn more of who He is. If we know who God is, Whitney maintains that we will be changed by His holiness. Chapter by chapter he explains the importance of making a regular habit of out each of these things and he makes some pretty compelling points! I feel woefully unqualified to say I'm a Christian (but I mean that in a good way!) I never want to come to a point in time or a place in my life where I think I've got it all together and am coasting just fine, thanks! The moment I start to coast is the moment I start to rely on myself and not on God. I'd rather feel a sense of desperation - to know that there is still more to learn, to practice, to develop, to understand. Feeling like I'm "not all there yet" keeps me humble. When I read this book, I certainly am humbled! There were two chapters that stood out to me as being particularly thought-provoking. One was chapter 7 on serving. I wanted to squeeze stuff out of that chapter, so I wrote up a "review" of that chapter alone over at Offering Hospitality. The next chapter that I thought was provoking was Chapter 12 which is entitled, "Learning . . . for the Purpose of Godliness." In Chapter 12 Whitney makes the point that Christians aren't called to be stupid - abstaining from any knowledge of the world or scholarly devotion. We should be focused on learning doctrine because if we do not know the basics facets of why we believe what we believe, our spiritual walk will be shallow and it will be easier to fall away from it. We should be constantly learning and studying scriptures, history, literature, sciences, math, etc., and to know these things well. I'm probably not doing justice to the way that Whitney describes the pursuit of knowledge but it boils down to this: knowing God and knowing what He is about is a GOOD thing and we should not have to choose ignorance in order to say that we are Christians. 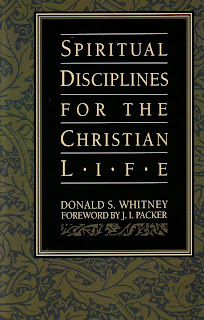 To summarize, at the beginning of Spiritual Disciplines for the Christian Life , Whitney invites his readers to learn to enjoy the Spiritual Disciplines to deepen and improve their spiritual walk with God. I found his invitation warm and genuine and am, indeed, encouraged to keep running forward. If you find yourself in need of some encouragement to pick up the pace and reapply yourself to knowing God, then might I suggest this book? Thank you, NavPress for the opportunity to read this book. A great book...I need to re-read it sometime soon!